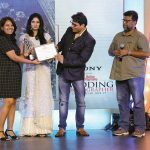 The road leading up to the Sony Better Photography Wedding Photographer of the Year 2018-19 Awards culminated in a grand ceremony held in Mumbai. 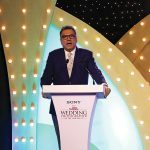 It was a star-studded event, with Boman Irani in attendance. 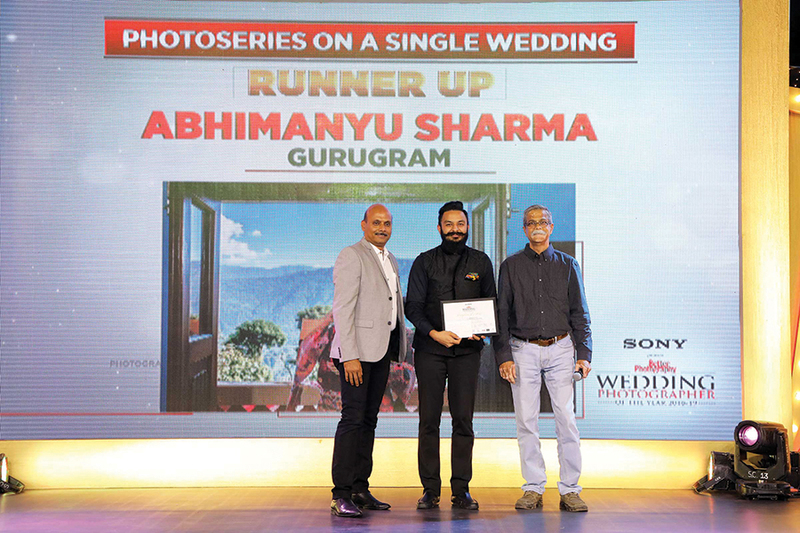 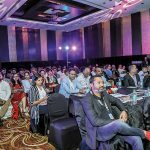 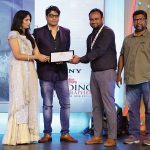 The Sony Better Photography Wedding Photographer of the Year 2018-19 Awards began with a wedding photography symposium, on the afternoon of 19 March, at the Hotel Sahara Star, in Mumbai. 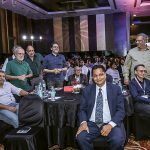 Amongst those who spoke were Prakash Tilokani; Joseph Radhik; Hiroyuki Tokuno, Head, Digital Imaging Business, Sony India; Appadurai A, Country Business Manager, Hewlett Packard-Indigo Digital Press; Sanjeev Pandey, Business Manager, HP India; Guru Vaidya, Creative Evangelist and Senior Solution Consultant, Adobe India; and Mukesh Srivastava, Product Marketing Head, Digital Imaging Business, Sony India. 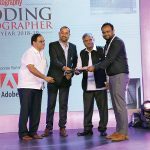 The awards ceremony commenced in the evening, and was attended by some of the biggest names in the industry, not just wedding photographers, but also those belonging to photojournalism, fine art, fashion, and other areas of commercial photography. 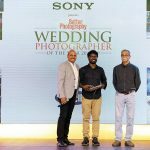 The host for the evening was Nisha Shetty, who opened the ceremony with a thunderous applause from the audience, in appreciation of wedding photography. 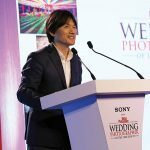 This was followed by a keynote address by Hiroyuki Tokuno. 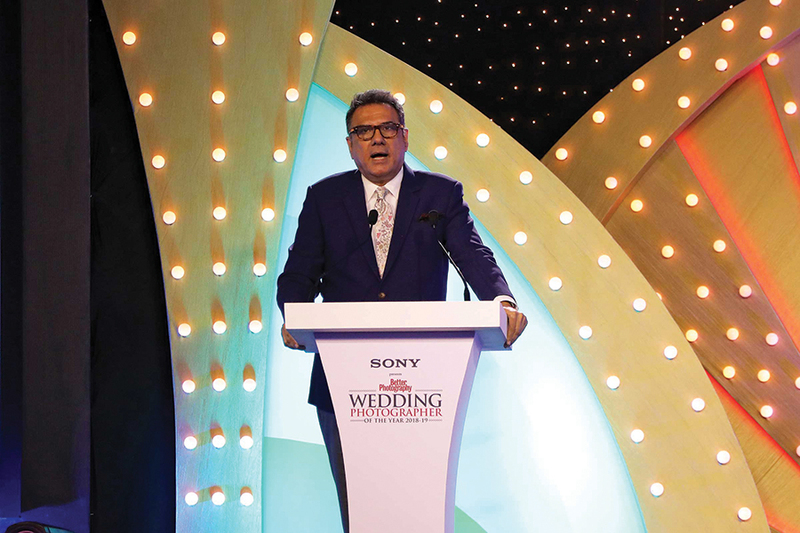 Boman Irani, actor, photographer, theatre artist, and Chief Guest at the Sony Better Photography Wedding Photographer of the Year 2018-19 Awards, addresses the audience. 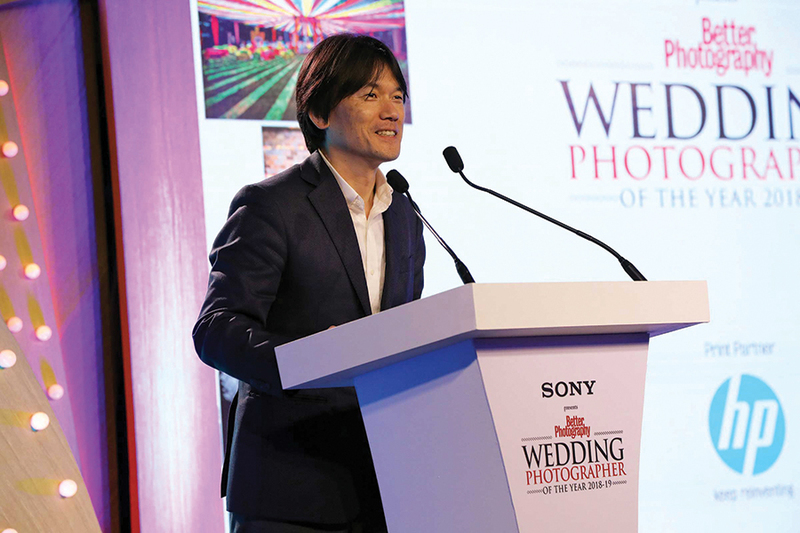 Hiroyuki Tokuno, Head, Digital Imaging Business, Sony India, addresses the audience on the night of the awards ceremony. 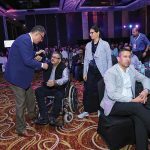 Boman Irani meets Girish Mistry, Dean, Shari Academy. 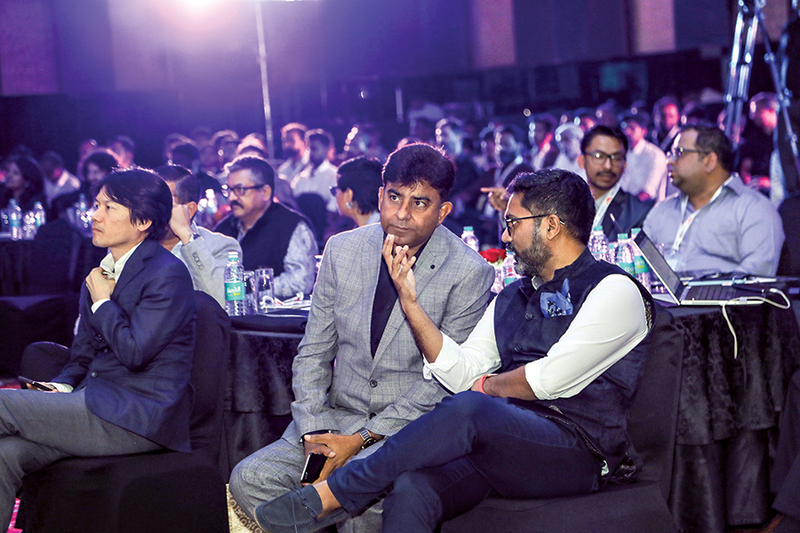 Seated towards the front is Mukesh Srivastava, Product Marketing Head, Digital Imaging Business, Sony India. 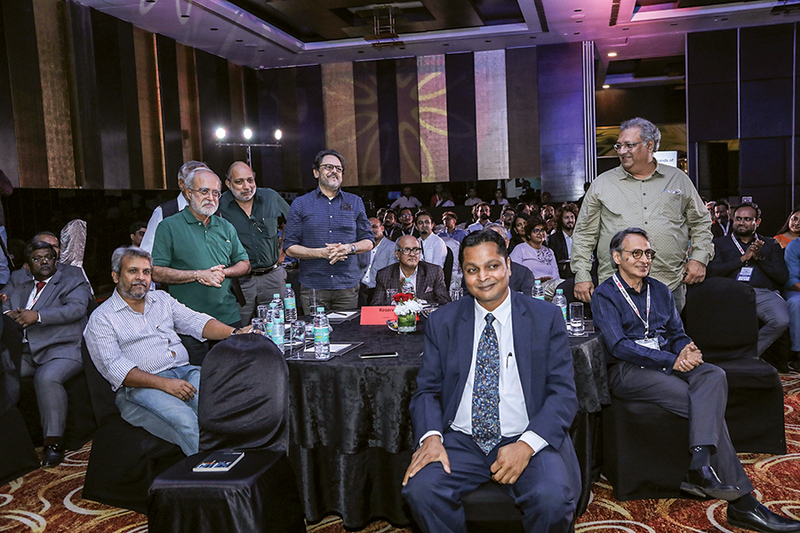 Old friends of Boman Irani, all stalwart photographers, acknowledge him as he addresses them from the stage. 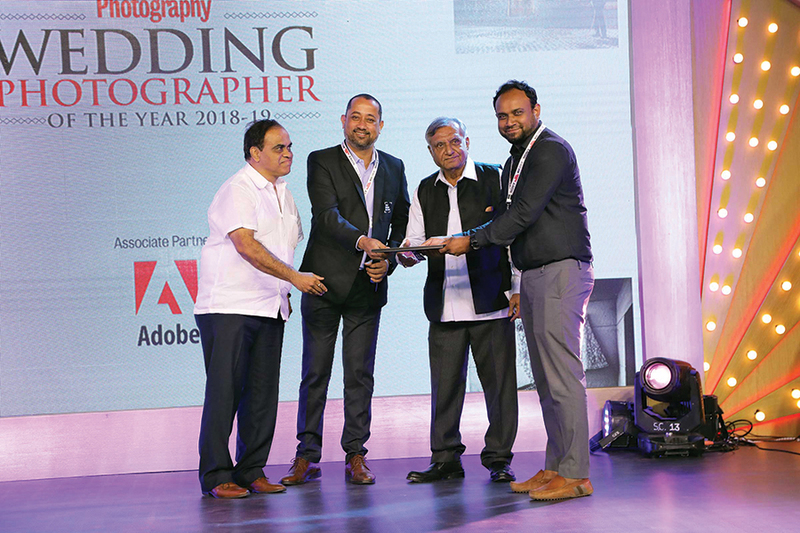 From left to right: Fawzan Husain; Swapan Mukherjee; Hari Mahidhar; Ian Pereira; Nrupen Madhvani; Madhur Shroff; Dhaval Soni, Managing Director, Photoquip India; and K Madhavan Pillai, Chief Editor, Better Photography. 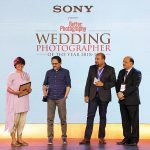 A glimpse of the guests who attended the Sony Better Photography Wedding Photographer of the Year 2018-19 Awards, held at Hotel Sahara Star, in Mumbai. 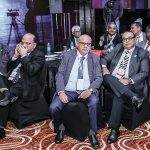 Members of AIPTIA. 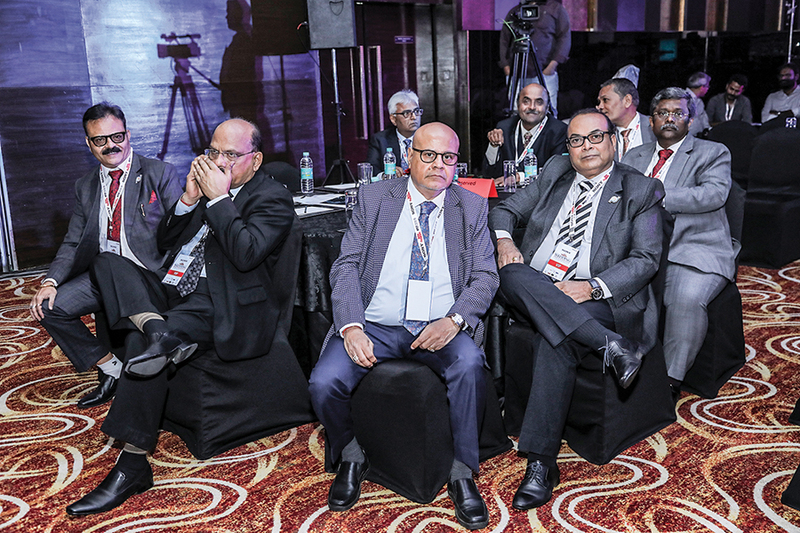 From left to right: Nilesh Chauhan, Managing Committee Member; Jayesh Mehta, President; Chandrakant Shah, Honourable Secretary; Jignesh Ajmera, Treasurer; Jayesh Shah, Joint Secretary; Nikhil Mehta, Managing Committee Member; Mahesh Shah, Managing Committee Member; & Hemant Bhavsar, Vice President. 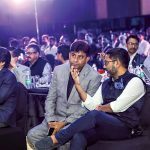 Prakash Tilokani and Joseph Radhik engage in conversation, during the awards. 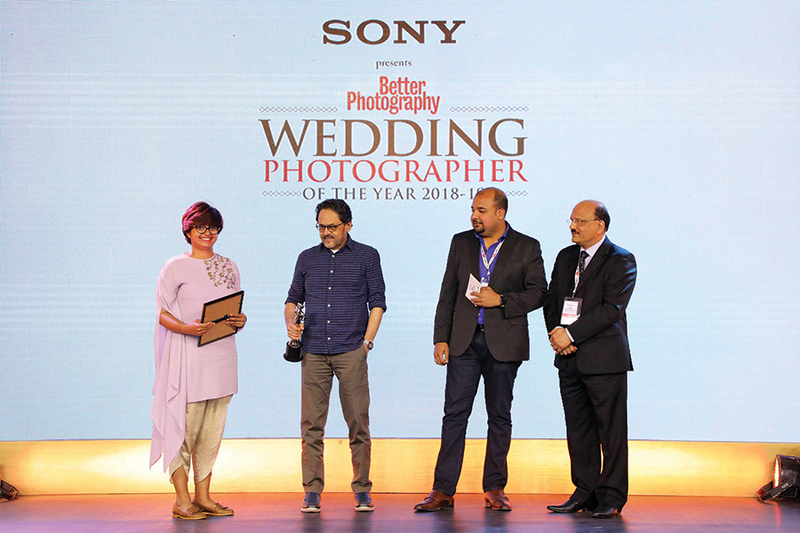 On the far left is Hiroyuki Tokuno and Girish Mistry. 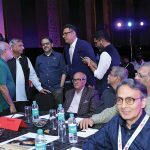 Boman Irani interacts with old friends and new. 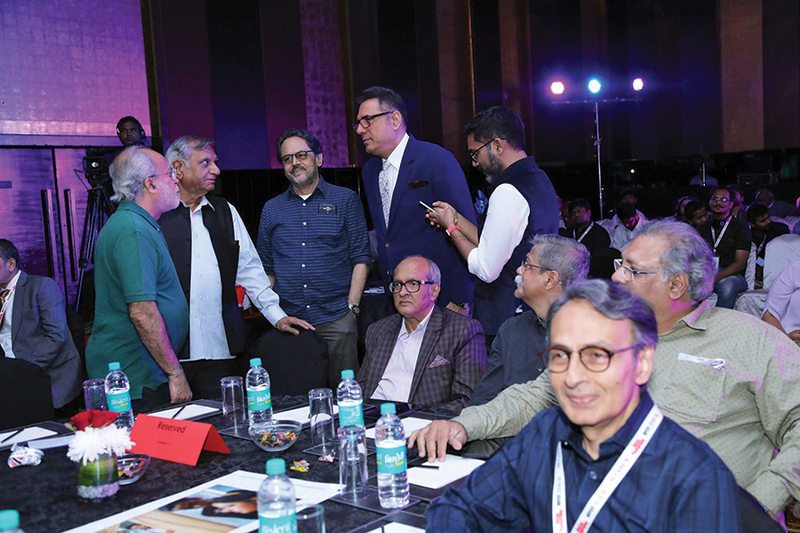 From left to right: Swapan Mukherjee, Hari Mahidhar, Nrupen Madhvani, Boman Irani and Joseph Radhik. 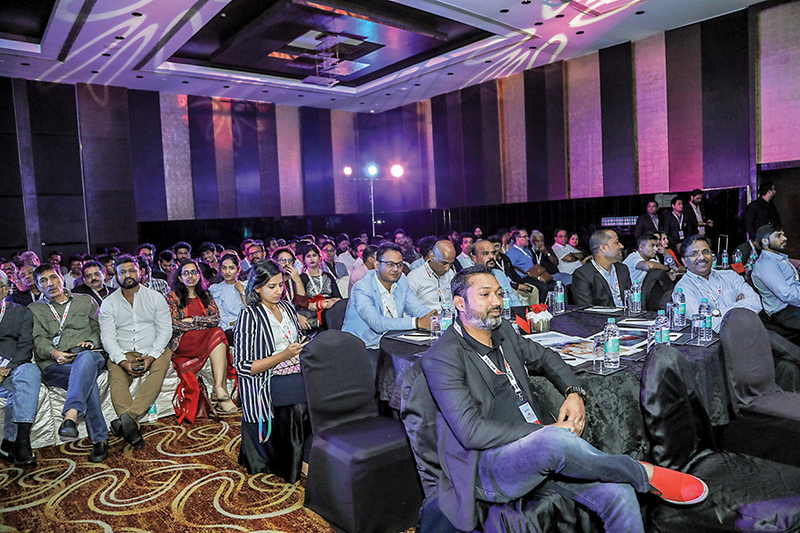 On the far right corner is Dhaval Soni. 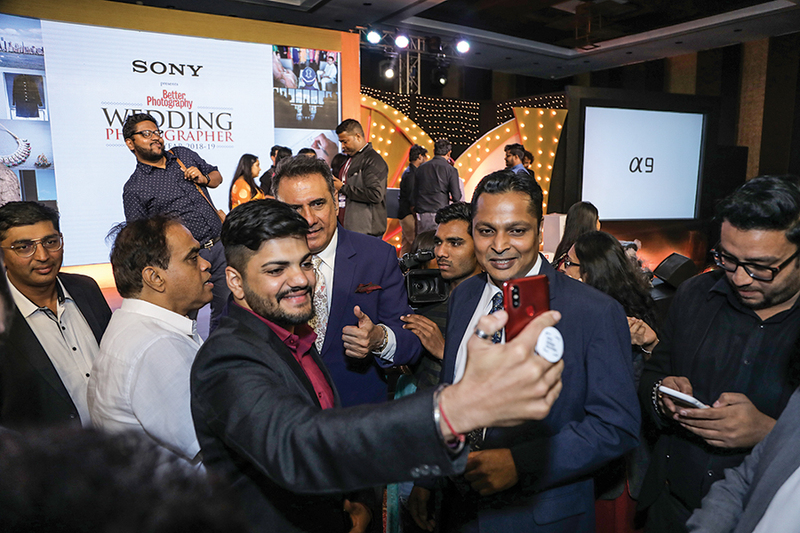 At the end of the awards ceremony, the crowd goes into a frenzy, wanting selfies with Boman Irani. 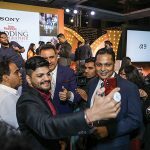 Notice the photobomber in the background! 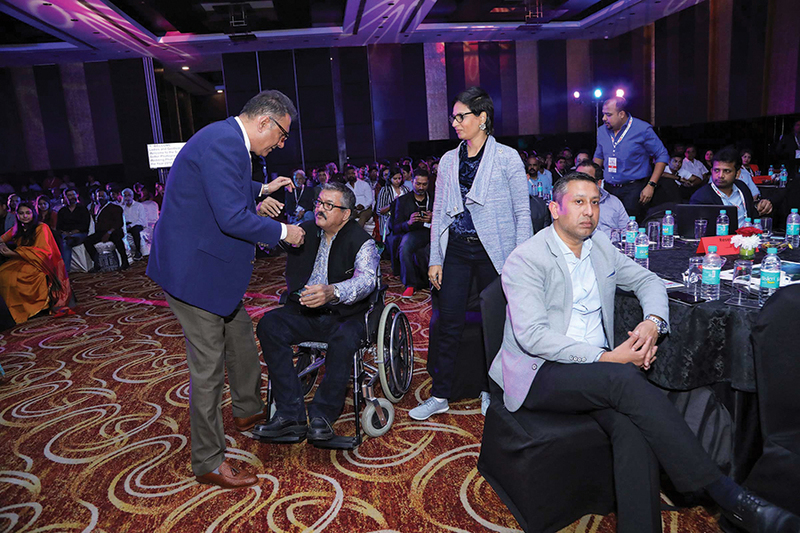 This year, we were fortunate to have Boman Irani, one of India’s leading actors, in our midst. 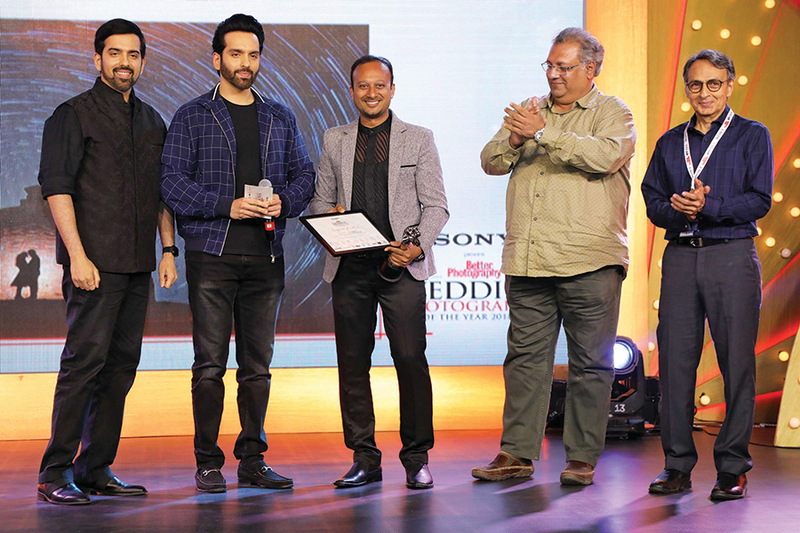 When he was invited on stage to address the audience, Irani gave a heartfelt speech of his humble beginnings in Mumbai. 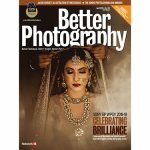 He also reflected on his brief stint in photography, and his even briefer stint as a wedding photographer, a role that he wasn’t too fond of. 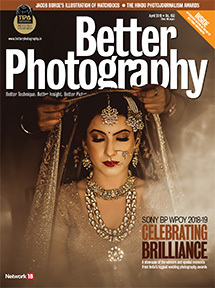 Irani explained how wedding photographers, at the time when he began, weren’t as respected as they are today, which made him loathe the profession. 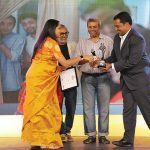 But after looking at how far the genre has come today, he wished he had the vision and determination to continue with the profession, instead of quitting, early on. 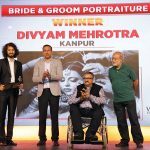 Irani also specially addressed long-time friends and stalwart photographers— Hari Mahidhar, Swapan Mukherjee, Nrupen Madhvani, Ian Pereira, and Madhur Shroff— and spoke highly of their contribution to photography in India. 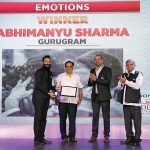 This was succeeded by the prize distribution ceremony, where our category winners were invited on stage to receive their certificate and trophy. 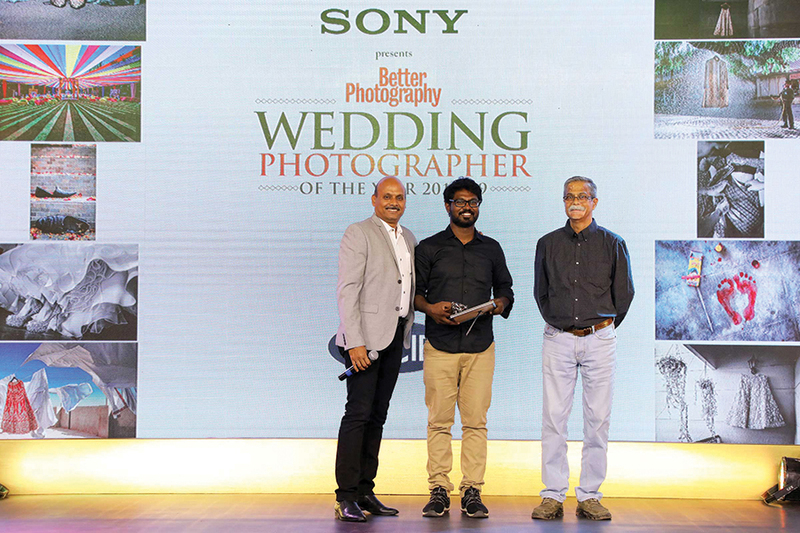 Pon Prabakaran, Winner, Photoseries on a Single Wedding category, receives his award from Sherwin Crasto & Milind Ketkar. 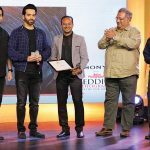 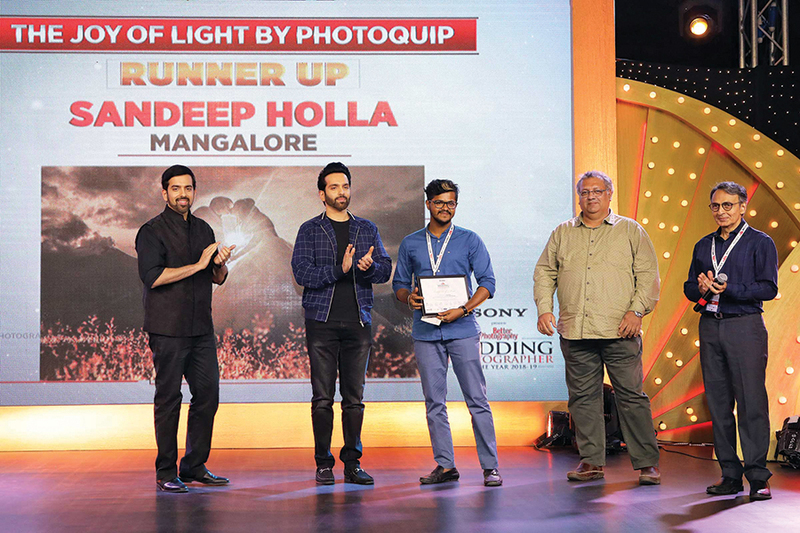 Sandeep Holla, Runner-up, The Joy of Light by Photoquip category, receives his award from Luv Sinha, actor; Kush Sinha, filmmaker; Madhur Shroff, commercial photographer; and Dhaval Soni, Managing Director, Photoquip. 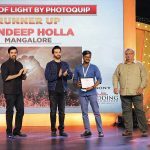 Gautam Agarwal, Winner, The Joy of Light by Photoquip category, receives his award from Luv & Kush Sinha, Madhur Shroff & Dhaval Soni. 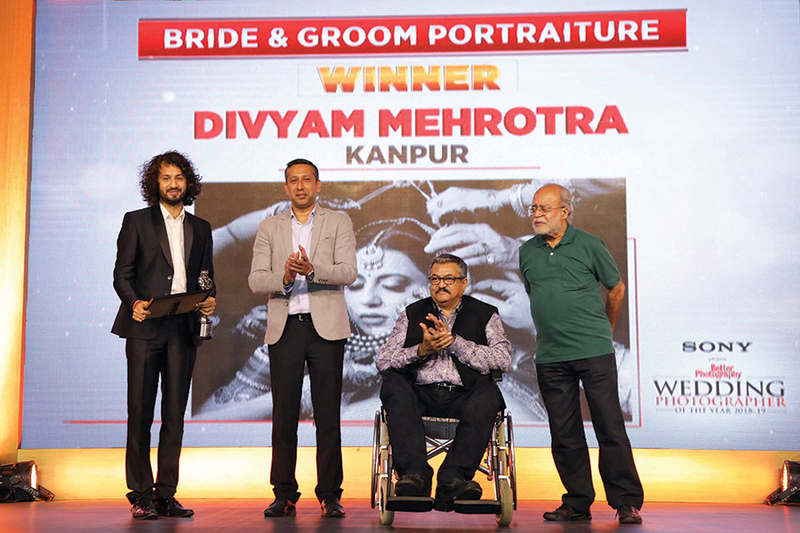 Divyam Ramji Mehrotra, Winner, Bride & Groom Portraiture category, receives his award from Mukesh Srivastava, Product Marketing Head, Digital Imaging Business, Sony India; Girish Mistry, Dean, Shari Academy; & Swapan Mukherjee, commercial photographer and educator. 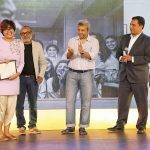 Harsheen Jammu, Runner-up, Family & Friends category, receives her award from Atul Loke, photojournalist; Fawzan Husain, photographer and educator; & Appadurai A, Country Business Manager, Hewlett Packard-Indigo Digital Press. 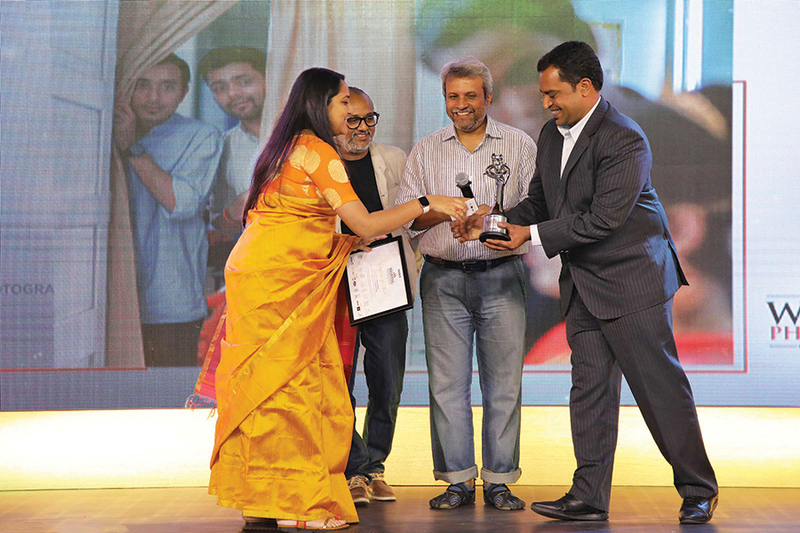 Rishika Brahma, Winner, Family & Friends category, receives her award from Atul Loke, Fawzan Husain and Appadurai A.
Sanoj Kumar, Runner-up, Emotions category, receives his award from Guru Dutt, corporate and industrial photographer; Mukul Kashyap, Regional Sales Director, Indian Subcontinent & Middle East, Vitec Imaging Solutions; and Hari Mahidhar, industrial photographer. 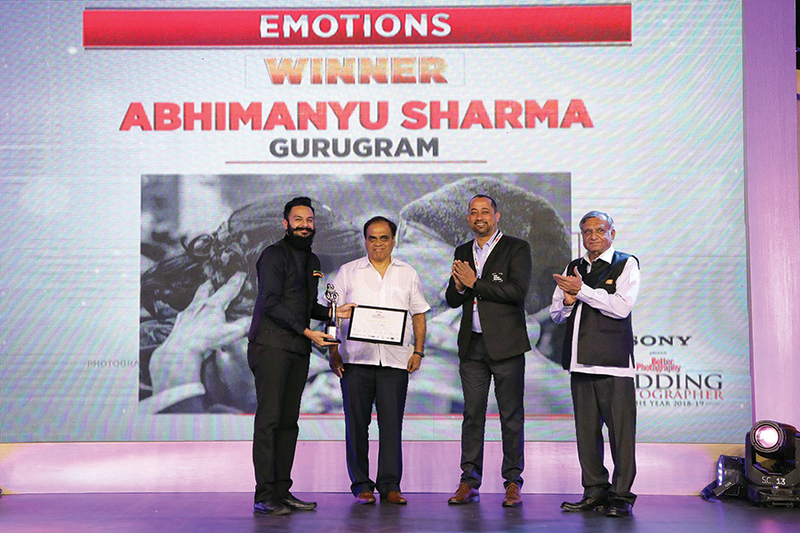 Abhimanyu Sharma, Winner, Emotions category, receives his award from Guru Dutt, Mukul Kashyap, & Hari Mahidhar. 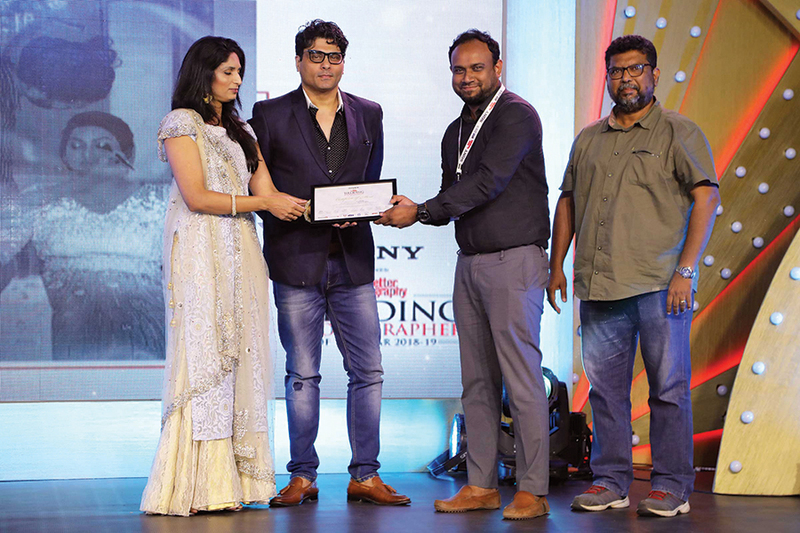 Sanoj Kumar, Runner-up, Behind the Scenes or Offbeat category, receives his award from Riyaz & Reshma Gang ji, Designers from Libas Designs; & Indranil Mukherjee, Staff Photographer, AFP. 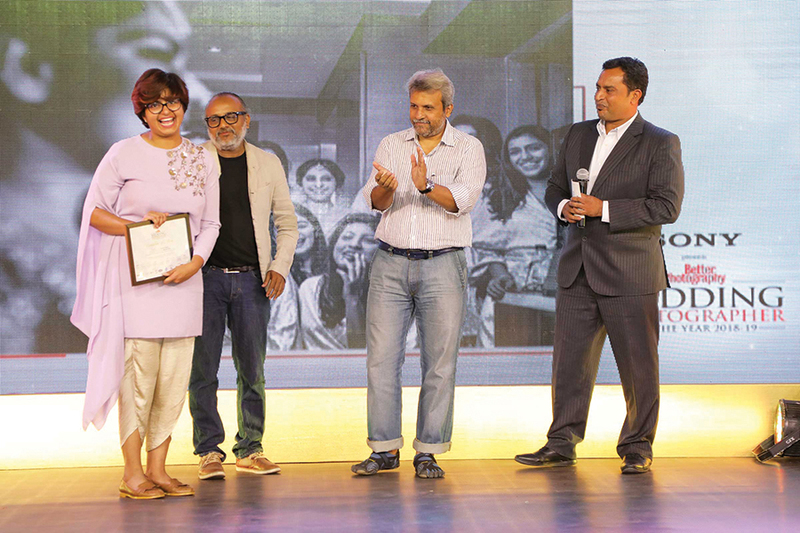 Prasheila Lookhar, Winner, Behind the Scenes or Offbeat category, receives her award from Riyaz & Reshma Gang ji, & Indranil Mukherjee. 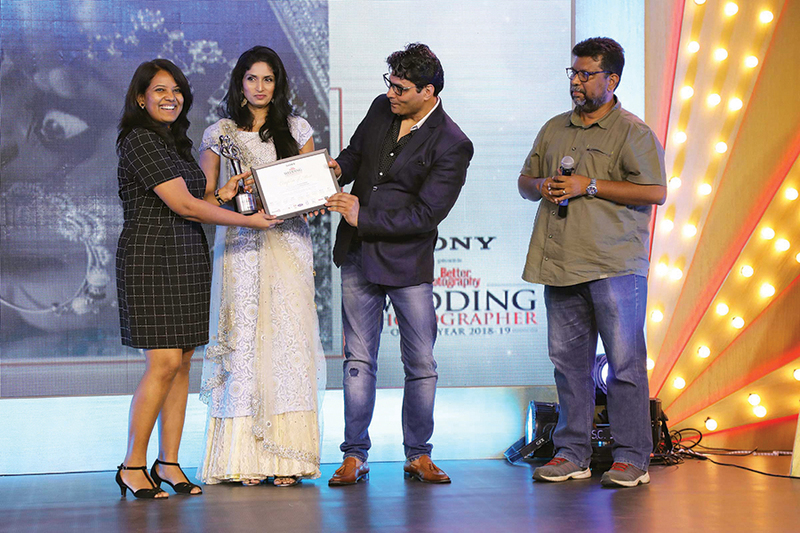 Harsheen Jammu, Winner, Finer Wedding Detail or Still Life category, receives her award from Nrupen Madhvani, commercial and fine art photographer; Akash Goel, Sales Head, South Asia, LaCie; and Jayesh Mehta, President, AIPTIA. 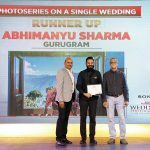 Abhimanyu Sharma, Runner-up, Photoseries on a Single Wedding category, receives his award from Sherwin Crasto, Photo Editor, Avner Images; & Milind Ketkar, wedding and commercial photographer.